There is something really special about watching a newly married couple dance. There they are center of attention swaying back and forth to the music, embracing each other as husband and wife, for the very first time. This is probably why I love first dances so much; they are one of my favorite parts of the wedding. 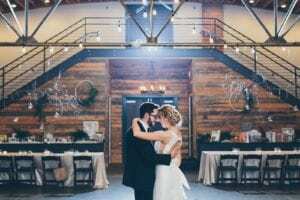 So it makes sense that here at Magnificent Moments weddings, we are falling in love with a new trend that goes hand in hand with the first dance, a private last dance. Today I am going to tell you all about them and why I have fallen in love! The first dance is usually the kick-off to your reception. You and your groom enter a room filled with all the most important people in your life, for the first time as man and wife. And the two of you share a dance while everyone watches on, snapping pictures, and taking in the new joy with you. It is a moment for everyone to share and celebrate. However, a private last dance takes on a much more intimate tone. 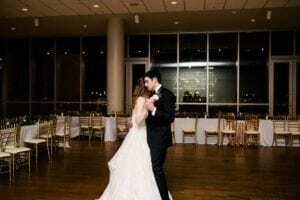 Weddings are often a day filled with others, getting ready with your best friends, exchanging vows in front of your closest family and friends, and dancing the night away on a crowded dance floor. But as the day slips by, a private last dance is the perfect way to bring it back to the most important thing, you and your new husband. For your private last dance your guests will be escorted out of the room to get lined up and ready for your grand send off. And as sparklers are being lit and bubbles are being passed out, you and your groom stay back. All alone in the room, you just celebrated your first hours as man and wife. Surrounded by the remnants of your wedding that you spent months to plan, you and your husband get one more dance. One more dance alone, to celebrate the end of the wedding and the start of your life together, just the two of you. Are your eyes watering yet? Mine are! We have even surprised a few of our sentimental brides by scheduling this for them in the timeline. Want more unique ideas for your wedding, contact Magnificent Moments Weddings! We would love to help you plan your event!